It's no secret that we Gilflurts like a bit of extravagance and today we'll meet a man who knew what opulence was all about. 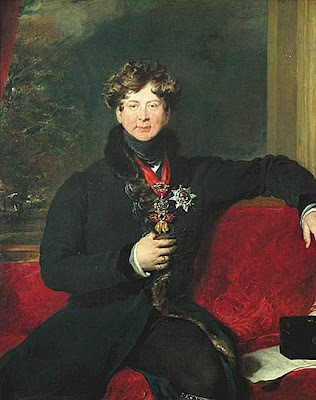 Given the popularity of his Coronation, it seemed only right that we revisit King George IV, affectionately known to we Gin Laners as Prinny, and wish him a very happy birthday! 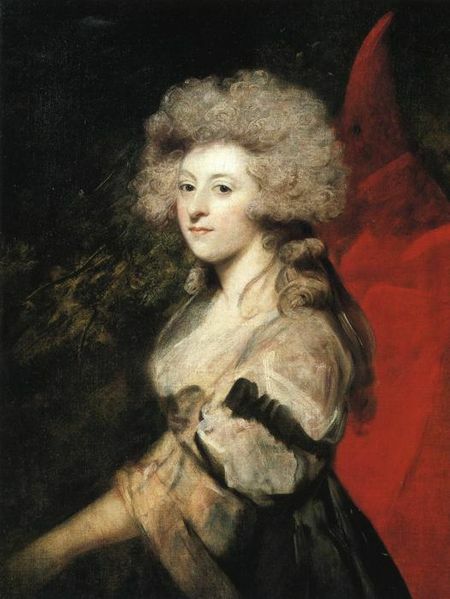 Before the caricatures and the debts and the women, George was born as the oldest of George III and Charlotte of Mecklenburg-Strelitz's fifteen children. From the moment of his birth at St James's Palace the young Prince of Wales would know the best of everything and by the time the Archbishop of Canterbury, Thomas Secker, baptised him, he was already Prince of Wales, Duke of Cornwall, Duke of Rothesay and Earl of Chester. Whereas his father had relatively modest tastes, George developed a taste for the finer things in life and, even as his subjects endured poverty, the young prince's habits grew more and more profligate. At the age of 21 he moved into Carlton House with a £60,000 living grant from Parliament and an income of £50,000 courtesy of the King and set up home for himself, beginning what would be a wild and extravagant time. 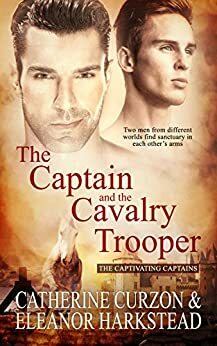 With a third of his money ploughed into his stables alone, the Prince lived as though cash was no object, throwing enormous parties, gambling and, of course, entertaining ladies. 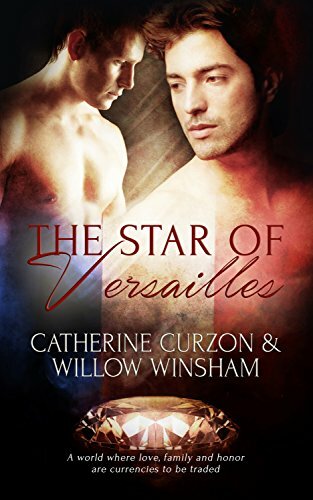 His father was mortified by the behaviour of the heir to the throne and the Prince surrounded himself with hangers-on who bowed to his every wish whilst at the same time using him to further their own influence. 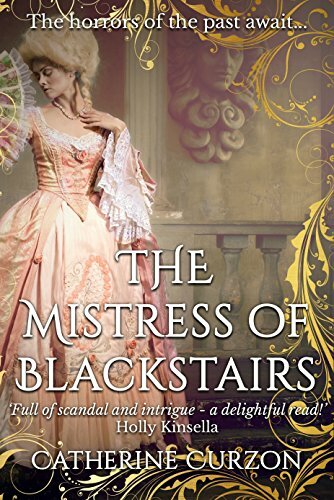 Not long after he began to live his independent life, George met the twice-widowed Roman Catholic, Maria Fitzherbert and decided there and then that this would be the woman he would marry. In fact, the 1701 Act of Settlement ruled that no heir to the throne could be crowned if married to a Roman Catholic and the 1772 Royal Marriages Act prohibited any marriage without the consent of the King, but Prinny was not one to let such things stand in his way. He pursued Mrs Fitzherbert tirelessly, beginning the tradition of the lover's eye into the bargain. In fact, the lady concerned was considerably less enthused by the whole idea for a good long while but George's wit and charm paid off in the end and on 15th December 1785, an illegal marriage took place in the bride's home at Park Street, Mayfair. 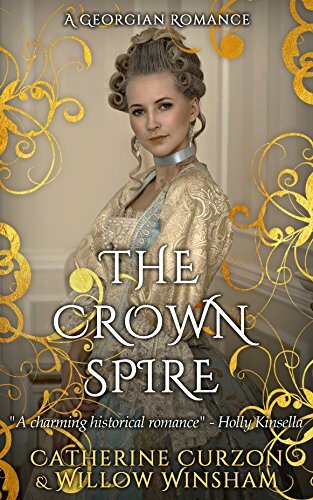 The marriage was not legally binding and all involved parties were sworn to secrecy; though the Prince and Mrs Fitzherbert's love affair would prove a rocky one, she always considered herself his true wife. 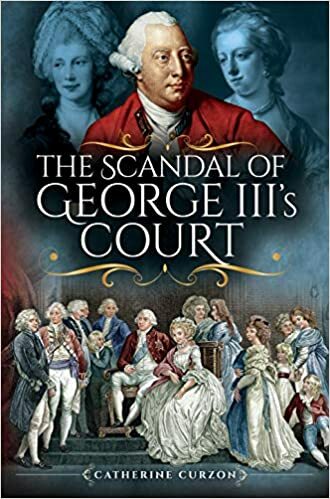 In fact, the secret wedding was soon anything but as, utterly drowning in debt, George left Carlton House in 1787 and moved into Park Street whilst trying to negotiate a further financial grant from Parliament. Despite the King's distaste at his son's close ties to Charles James Fox, the Whig leader brokered a deal with the Prince, securing him the money he needed in return for a public denial of the marriage to the Catholic widow. 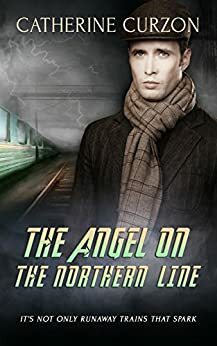 In dire straits, George agreed and though the public denial was rewritten in less stark terms by Richard Brinsley Sheridan, the damage was done. Mrs Fitzherbert was furious at what she saw as a betrayal and was very likely glad to put some space between herself and her lover, who moved back into Carlton House nearly £170,000 better off. All of this was, of course, a public relations disaster and he sank in the public's affection to a new low. In 1788 as the King grew increasingly mentally disturbed, Parliament found itself stuck in something of a vicious circle; King George was too ill to deliver his State Opening Speech and yet the Commons could not officially sit until the speech had been given. With the King showing no sign of recovery, the Members of Parliament met to discuss the possibility of establishing a Regency. Although a Regency Bill was created by Pitt, the King recovered before it was passed and the Prince's first opportunity for power slipped away. Despite his enormous payout in 1787, George was soon spending beyond his means again and this time, the conditions of the bail out went even further. Financial aid would be forthcoming once more, but only if George would consent to marry his cousin, Princess Caroline of Brunswick. With no other likely options and his debts mounting, George agreed and the wedding took place on 8th April 1795. The pair hated one another almost from the outset and once their child, Charlotte was born, they parted company within a year of their wedding day. Besides, George had little time for a wife, he was kept busy with his many mistresses and the illegitimate children they bore him, let alone building up piles of new debt! 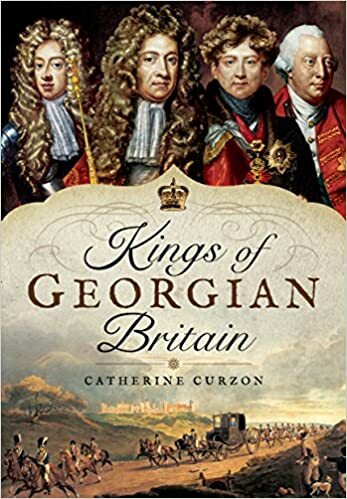 George's life remained one of extravagance, debt and scandal and he became a figure of fun in England, thought things must have seemed slightly less amusing when, in 1810, the King fell ill again. 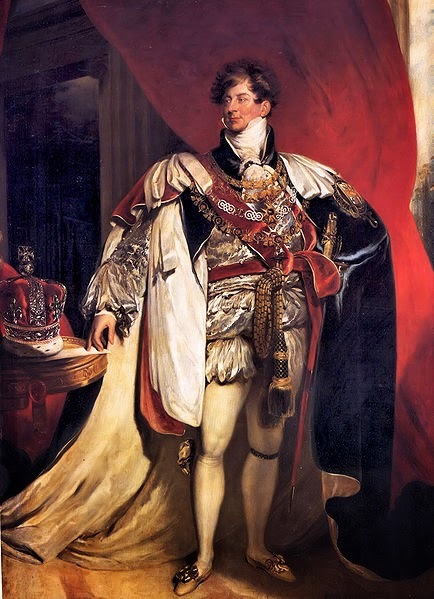 This time the groundwork had already been laid two decades earlier and the Regency Act was passed in 1811, with the Prince of Wales now being known as the Prince Regent. The Regent's once left-wing political interests were moving increasingly to the right and he fell under the influence of ambitious ministers who guided the country through the Napoleonic Wars, among other notable events. When the Prince did directly involve himself in politics the outcomes were not always favourable, such as his disastrous attempts to assemble an all party government. Far more to our hero's liking were aesthetic pursuits and he considered himself a leader of fashion, championing much of the Regency clothing and building style that we recognise today. 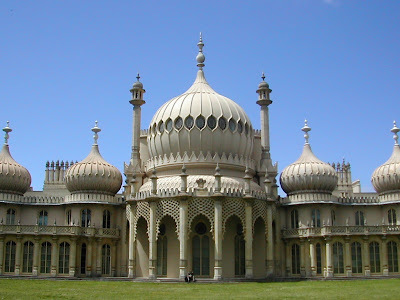 Working with John Nash, George presided over architectural developments including Regent Street and the famous Brighton Pavilion, which reflect perfectly his own taste for grand and exotic styles. As the years passed the once handsome young man grew corpulent, caricatured as a crass, indulgent boor; he developed a taste for drink and laudanum that caused his health to deteriorate even as his extravagant lifestyle continued unabated. Although little liked by the public, when George III died in 1820 the Regent's magnificent Coronation ushered in a new sense of patriotism among the people of England and he enjoyed a period of affection from his subjects. 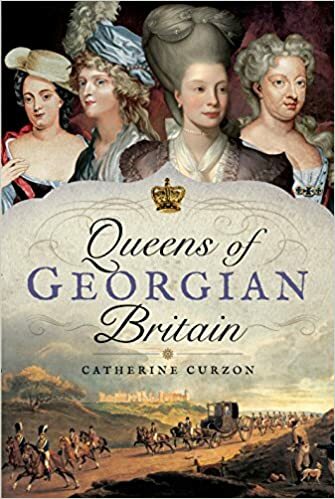 The public had long been sympathetic to his estranged wife, yet her efforts to enter Westminster Abbey and be crowned alongside her husband were to prove a public relations disaster and the crowd turned on her, leaving her humiliated. Retiring to her home in despair, she was dead within a month. The new King retired to Windsor Castle, his love of parties and socialising giving way to an interest in political matters, though he continued to correspond with Mrs Fitzherbert even as he supported anti-Catholic measures in parliament. His health continued to fail and by the age of 60, he was wearing corsets intended to confine a 50-inch waist, his weight ballooning out of control. He died in the early hours of 26th June 1830 and his last words, reported by the friend who was with him at the moment of his demise were, "my boy, this is death." 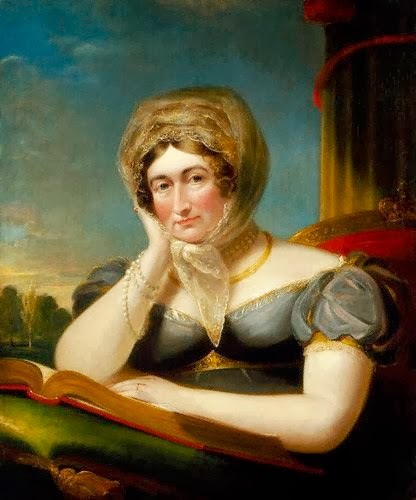 He was buried at Windsor wearing the eye miniature Mrs Fitzherbert had sent him during their courtship and she died 8 years later, still maintaining that she was the first and rightful wife of the late King. 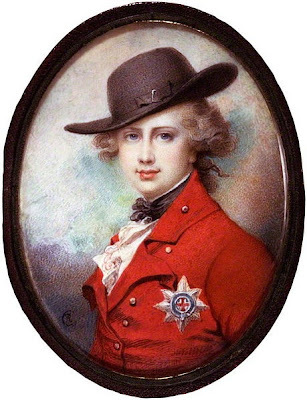 George's only child, Princess Charlotte, predeceased her father by 13 years and the next heir to the throne, Prince Frederick, predeceased him by three years so the crown was taken by William, Duke of Clarence. England had seen its last King George and William IV took his place on the throne. In death George was mocked and loathed as he had been for so much of his life with The Times reporting his death and asking, "What eye has wept for him? What heart has heaved one throb of unmercenary sorrow? ". For all his failings as a man, and they were numerous, one cannot deny that Prinny had an eye for the aesthetic and was, by all accounts, a witty, charming and intelligent man. His influence on the style and architecture of the Regency era is unquestionable; indeed, Buckingham Palace owes its appearance to his sense of design. He was a man of contradictions and one who was not easy to like but he continues to fascinate and frustrate today - happy birthday Prinny! A well told tale,Madame! Is this a case of"You can chose your friends but not your family?" 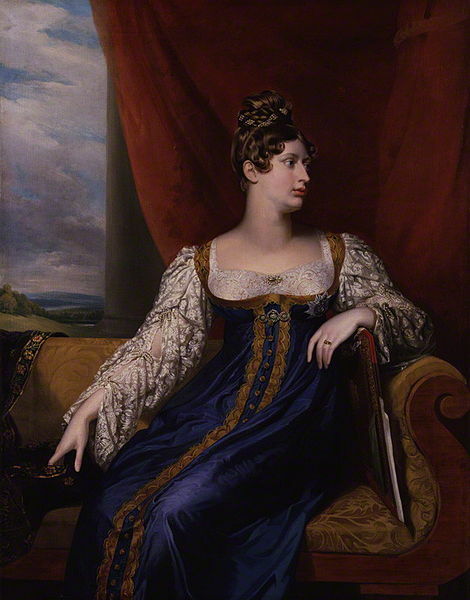 It seems that George died with a locket of Maria Fitzherbert around his neck.His wish was to be buried with it.His"wife",by all accounts had no pretensions and all the qualities of a Queen. 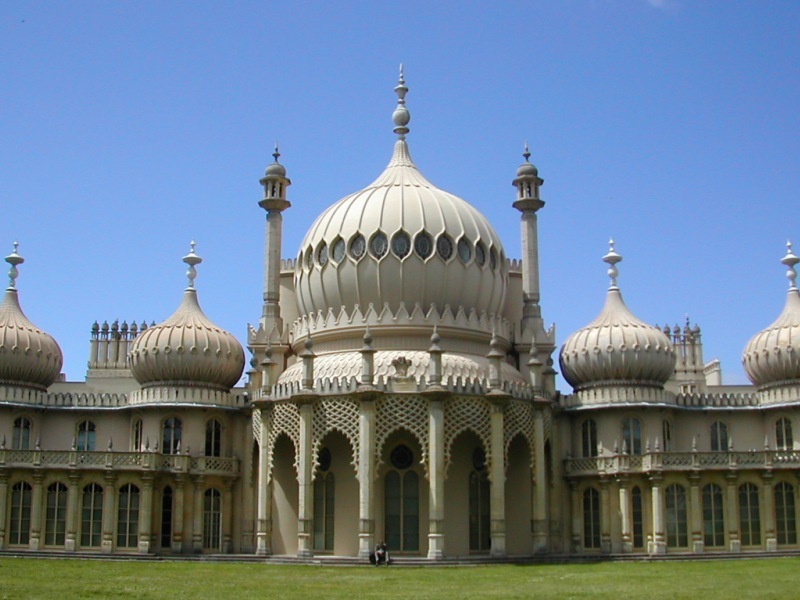 After his death when the new King and his Queen visited Brighton they asked to present themselves to Mrs Fitzherbert at her home rather than expect her to attend them at the Pavilion. A true lady! 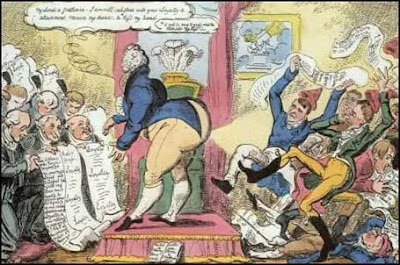 That Cruikshank cartoon was none too flattering! I was interested to hear of the playwright Sheridan doing some political hack work. Thank you, Catherine. I enjoyed enormously. A lovely read.Thank you so much,Madame. This is just the kind of people I love reading about. LOL!